Rather than patronise everyone here by encouraging everyone in the US to vote, here’s a few carefully curated demotivatonal posters and tweets. Please add your own if you have any good ones. This one may be hard to achieve. This entry was written by whyevolutionistrue and posted on November 6, 2018 at 11:00 am and filed under elections. Bookmark the permalink. Follow any comments here with the RSS feed for this post. Both comments and trackbacks are currently closed. Is that guy in the cricket jersey/trousers in the portrait supposed to be Trump? Does Trump even know how to play cricket, and do those women know he’s wearing cricket whites? 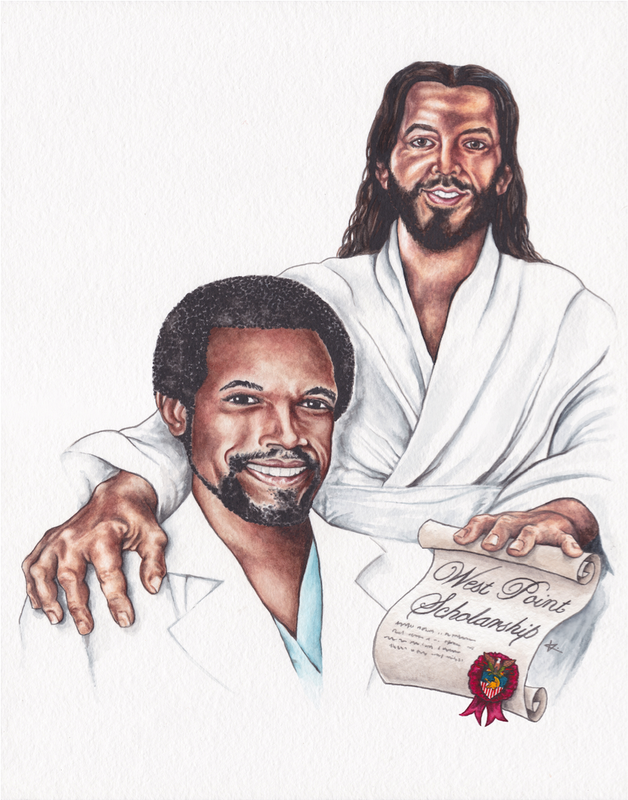 The style does look kinda like the Ben Carson one! Democrats may find a way to screw it up. I’ve gotten a ton of robocalls in the past week, almost all Republican/Conservative. It’s not unusual were I live, but it always scares me a bit. Most of them sound like SNL skits – I can’t believe anyone takes them seriously. On the Trumpettes: Some of them might even be good people. Ok, probably not. Just imagine being stuck in that room with No Exit. You don’t want on the USSC then? Perhaps they were Halloween costumes. Justice: Now and Always within … … .my. inventory. Better off without doubt? I cannot off the top of my head think of a more anti intellectual, anti science, anti truth thing to say. The habitués of the Algonquin Round Table were known for their facetiousness, especially Dorothy Parker. Well she did say that she didn’t care what people wrote about her as long as it wasn’t true. as one may wanna back off o’me since, as woman, I ‘ve been washing out bloodstains from my clothing for decades now. See your white-supremacist congressman, Steve King, made a “joke” at a campaign stop in Hampton, IA, the other day, saying Trump would get two more Supreme Court appointments once <a href="https://twitter.com/RubensteinAdam/status/1059501070664241156?ref_src=twsrc%5Etfw%7Ctwcamp%5Etweetembed%7Ctwterm%5E1059501070664241156&ref_url=https%3A%2F%2Fwww.wonkette.com%2Fres%2Fcommunity%2Ftwitter_embed%2F%3Fiframe_id%3Dtwitter-embed-1059501070664241156%26created_ts%3D1541439714.0%26screen_name%3DRubensteinAdam%26text%3DRep.%2BSteve%2BKing%2Bjust%2Bnow%2Bin%2BHampton%252C%2BIowa%252C%2Btalking%2Babout%2Bthe%2Bcourts%252C%2Bsays%2Bafter%2Bthe%2Belection%2Bmaybe%2B%25E2%2580%259Cwe%25E2%2580%2599ll%2Bhave%2Ba%2B7-%25E2%2580%25A6%2Bhttps%253A%252F%252Ft.co%252FJHeuTMwZ3Z%26id%3D1059501070664241156%26name%3DAdam%2BRubenstein"Kagan and Sotomayor elope to Cuba." Not often a single line can hit the quadfecta of homophobia, misogyny, Hispanic-bashing, and red-baiting all at once. It must be what some considerable number of Americans expect in a leader. Perhaps as many as 35% of Americans and 50% of Iowans. Thanks, jblilie. You always provide the best statistical-BS-debunking charts. What?!? What is a “fact on twitter”? I’ve never heard of such a thing. site:bls.gov “total private sector employment” [label of the supposed unreferenced “fact” chart] “2015” “2016” “2017”. Also: twitter.com/DPRK_News is a parody site; I was fooled by it once. OMG, we are still electing idiots. Looks like Republicans will keep House and Senate. It’s 2016 all over again. At 7:22 Pacific CNN is saying that Dems are on track to take the House by a good margin. They may lose seats in the Senate but that was a long shot anyway. Phew. Not as bad as it looked earlier, but still not as good as I hoped. Well, the House is being called for the Dems. That’s a relief. Yeah, but those extra Republican senators takes the glow off. Maybe a little. But the house is huge. It means there’s a way to fight back. The House has supena power. They should be able to force testimony of Trump’s cronies and control the agenda. Remember Trump’s tax returns? They could be made public within months. I think it’s spelled, subpoena. I’m so looking forward to watching House committee hearings on White house corruption for the next 4 years. Yes I meant to say 2 years. But, at this point I’m not confident it won’t be 6.